At 7:00 we get up and Marco is getting ready to go to the garage to get the tire fixed. Unfortunately they find a second tire that is bad as well. So, Marco decides to take the safe route and gets all four tires replaced – a travel expense of USD 250.-. It was definitely worth it. Later this morning we drive to the Antelope Marina – a relaxing day at the beach. In the afternoon we head to Wahweap Marina for a nice coot Javalanche (their version of a frappucino). 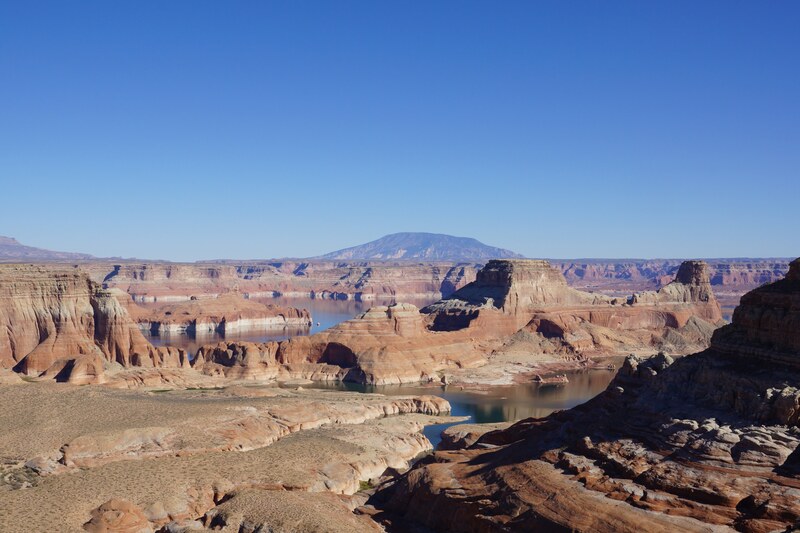 Since the light is very good today we take some more pictures of Lake Powell, the Marina and Page. Before we have dinner at Bella Napoli we also pay photo visits to Lone Rock and to the Sunset View Point for some photos.